During the Gold Rush in the 1840s and 1850s, Chinese laborers were shipped to America by the boatload to build the Pacific railroad. In the decades that followed, many more Chinese immigrants arrived on the East Coast and settled in Manhattan’s lower east side around the Canal Street and Mott Street intersection. Today, New York's Chinatown remains the largest one in the country, with an estimated population of 100,000 residents. A month ago, Maximal Concepts – which also owns Brickhouse, Blue Butcher and Fish & Meat – opened Mott 32 in the basement of the Standard Chartered Building. According to its website, the restaurant gets its name from 32 Mott Street, the address of the “first Chinese convenience store which opened in 1851.” The Maximal group, or whatever PR firm it hires, should really check its facts. 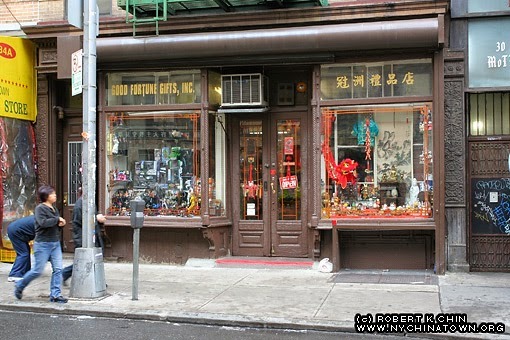 The shop on 32 Mott was actually a Chinese pharmacy called Quong Yuen Shing that opened in 1891 (not 1851). And the story doesn't have a happy ending either. The century-old shop succumbed to the post-9/11 tourism slump and was replaced in 2004 by a generic souvenir shop called Good Fortune Gifts. Anyone who knows New York knows that Mott Street is famous for two things: poor hygiene and snarled traffic. The name also conjures up images of greasy egg rolls, nameless meat in brown sauce and fortune cookies that accompany the bill. Nevertheless, this past Thursday when I took the escalator at the Stanchart Building and descended into Mott 32, I quickly realized that the new restaurant has nothing to do with the namesake street. From the eye-popping prices to the nightclub-like décor, this place is no Panda Express. If you can forgive its irrelevant name, you will find Mott 32 both charming and happening. The space, designed by award winning interior designer Joyce Wang, looks more like a swank bar in New York’s Meatpacking District than anything in the lower east. It is a see-and-be-seen hangout where bankers splurge on expense accounts, and where socialites and wannabes alternate between air kissing and champagne sipping. Everything from the choice of artwork to the flower bouquets and embroidered cushions is well thought out. Even the bathrooms are somewhere between funky and colonial. All that makes Mott 32 a great place to entertain overseas visitors and show off your high life in Hong Kong. The extensive pan-Chinese menu is designed by executive chef Mr. Fung, poached from Dynasty at the Renaissance Hotel. 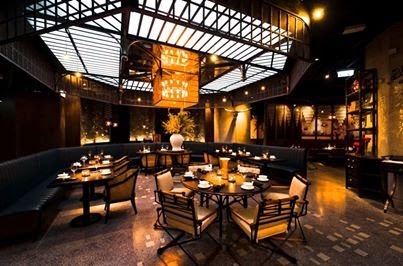 Signature dishes include barbecued prime Ibérico pork with Yellow Mountain mustard ($295) and sticky black cod with crispy ginger ($180 per piece). Neither is spectacular – you will find much better Ibérico char siu, for instance, at ICC’s Tin Lung Heen. The restaurant redeems itself, however, with the succulent stir fried prawns with salty egg, as well as the more everyday Cantonese dishes like braised eggplant and fried rice with egg white and crabmeat. Although cocktail prices are steep ($110 to $130 per drink), they pack an exotic punch. I ordered a concoction called Joe’s Elixer [sic] with gin, blackberries, passion fruit and ginseng and I was very tempted to have another one. Dinner for two at Mott 32 will easily set you back $1,500, which makes you think twice before making a reservation. The truth is, Central is now filled with upscale Chinese restaurants: Duddell’s, Tsui Hang Village, Lung King Heen and David Tang’s triple threat: China Tang, Island Tang and the China Club. You can’t sling a dead cat on Pedder Street without hitting another overpriced joint that promises the best barbecued pork or steamed garoupa. Mott 32 is just another addition to a very crowded space.